New York, NY, Point Roberts, WA - July 31, 2013 (Investorideas.com renewable energy newswire) Investorideas.com, an investor research portal specializing in investing ideas in leading sectors including renewable energy stocks, issues a trading alert for solar stock, XsunX, Inc. (OTCQB: XSNX). The stock closed trading on Tuesday July 30 th at $0.0085, gaining 0.0021 or 32.81% on over 4.4 Million shares. Point Roberts, WA - July 25, 2013 (Investorideas.com renewable energy stocks newswire) Investorideas.com, an investor research portal specializing in investing ideas in leading sectors including renewable energy stocks, reports on the future of the solar sector and in particular, CIGS solar and the related solar stocks. Lux Research says the solar photovoltaic (PV) market is poised to rise from the ashes of its 2011 crisis to grow to $155 billion in 2018, as market forces engineer a turnaround to a healthy 10.5% compound annual growth rate (CAGR. They went on to say, "In the most likely scenario, the PV market will grow at a modest clip to 35 GW in 2013 before rapidly ramping up to 61.7 GW in 2018." The U.S. Photovoltaic Manufacturing Consortium (PVMC) recently said in a press release, "Photovoltaics and especially thin-film PV are again at a tipping point," said Larry Kazmerski, co-chair of the U.S. CIGS PV Roadmap. "We want PV to be a substantial part of the world's energy portfolio and our efforts with this roadmap are aimed to help make CIGS thin films a significant part of that solar success." CIGS solar stocks to watch include XsunX , Inc. (OTCQB: XSNX) , Ascent Solar Technologies, Inc. (NASDAQ:ASTI), Solar Frontier subsidiary of Showa Shell Sekiyu K.K. (TYO: 5002) and TSMC Solar, a wholly-owned subsidiary of Taiwan Semiconductor Manufacturing, Inc. (NYSE:TSM). XsunX , Inc. (OTCQB: XSNX) closed up over 21% on just over 4 Million shares as of the close on Wednesday, gaining some of the ground it had lost in recent sessions. XsunX says its CIGSolar technology focuses on the mass production of thin-film CIGS solar cells utilizing a proprietary multi-area thermal deposition process to minimize processing defects to create highly uniform CIGS films. The manufacturing systems are modular and represent a new breed of CIGS manufacturing technology that can be deployed in various production configurations to produce CIGSolar cells. The potential impact and opportunity is to offer commercially viable replacements to existing incumbent poly-crystalline silicon technology, lowering the overall cost of PV energy. TSMC Solar said this week that its new target for CIGS module conversion efficiency is now set for 17 percent and utility expansion of 50 percent by 2014. In June the company reported confirmation by TUV SUD that its latest commercial-sized (1.09 m2) CIGS champion module has achieved 15.7% module total area efficiency. The new champion module improves on TSMC Solar's previous 15.1% world record set in January this year. The module was produced using the current manufacturing equipment and materials at the company's manufacturing facility in Taichung, Taiwan. The stock moved up on the day of the new targets announced. Ascent Solar Technologies, Inc. (NASDAQ:ASTI) said earlier this week it will debut the newest additions to its EnerPlex KickrTM Series as well as introduce an exciting new line of EnerPlexTM products to be showcased at the Outdoor Retailer Summer show in Salt Lake City July 31st through August 3rd. Small enough to be attached to a belt loop yet powerful enough to make sure devices always have a charge, the Kickr line of personal solar chargers is uniquely enabled by the rugged, lightweight and flexible form factor of Ascent's CIGS solar cells. The stock has made some big moves just over the last month and closed up marginally again on the close of Wednesday's session. U.S., China, Japan, and India will take over where Germany and Italy left off. With an 18% CAGR to 10.8 GW of installations in 2018, the United States will emerge the world's second-largest market. But China will leapfrog it, growing over 15% annually to 12.4 GW in 2018. Opportunities abound for cheap IP. Struggling start-ups present opportunities to acquire intellectual property at record low prices. A case in point: Hanergy acquired Miasolé - which in 2012 announced the leading CIGS module efficiency at 15.5% - for only $30 million after investors had pumped $500 million into the firm. New York, NY - July 15, 2013 (Investorideas.com renewable energy stocks newswire) Investorideas.com, a research portal specializing in investing ideas for independent investors, issues a trading alert for solar stocks following a bullish trading session for the sector and a recent report from the IEA that shows the rapid global advancement of renewable energy as a cost competitive choice. In an overall strong day in the market, solar stocks closed up significantly in Monday’s trading session, some with double digit gains. Chinese solar stocks saw some of the biggest gains following headlines that China State Council said it has plans to build 35 GW of solar by 2015. Factoring into investor sentiment, the International Energy Agency (IEA) reported in late June in its second annual Medium-Term Renewable Energy Market Report (MTRMR), that despite a difficult economic context, renewable power is expected to increase by 40% in the next five years. Renewables are now the fastest-growing power generation sector and will make up almost a quarter of the global power mix by 2018, up from an estimated 20% in 2011. The share of non-hydro sources such as wind, solar, bioenergy and geothermal in total power generation will double, reaching 8% by 2018, up from 4% in 2011 and just 2% in 2006. According to the report," renewables are becoming cost-competitive in a wider set of circumstances. For example, wind competes well with new fossil-fuel power plants in several markets, including Brazil, Turkey and New Zealand. Solar is attractive in markets with high peak prices for electricity, for instance, those resulting from oil-fired generation. Decentralised solar photovoltaic generation costs can be lower than retail electricity prices in a number of countries." LDK Solar Co., Ltd. (NYSE LDK) closed at $1.75, up $ 0.31 or 21.53% on over 6 Million shares. The stock had a day high of $1.77. XSUNX Inc. (OTCBB: XSNX) closed at .011 on over 500,000 shares The CA based Company is a developer of CIGSolar®, a patent-pending technology for the mass production of CIGS solar cells that offers a capital-efficient, low-cost alternative to the use of silicon solar cells. Trina Solar Limited (NYSE: TSL) ended the day at $7.74, gaining 0.87 or 12.66%. Yingli Green Energy Holding Co. Ltd. (NYSE:YGE) closed at $4.16, spiking 0.42 or 11.23% and continued gains in after hours trading. First Solar, Inc. (NasdaqGS: FSLR) closed at $50.27, moving up 2.62 a share or 5.50%, with a high of $51. New York, NY, Point Roberts, WA - July 11, 2013 (Investorideas.com renewable energy stocks newswire) Investorideas.com, an investor research portal specializing in investing ideas in leading sectors including renewable energy stocks, reports on the first ever CIGS PV Roadmap released by the U.S. Photovoltaic Manufacturing Consortium (PVMC) and the potential for related CIGS solar stocks for investors. For investors unfamiliar with CIGS, it's a semiconductor material made from the raw materials of copper, indium, gallium, and selenium and has the highest conversion efficiency of any thin-film solar cell. CIGS solar stocks to watch include XsunX, Inc. (OTCQB: XSNX) , Ascent Solar Technologies, Inc. (NASDAQ:ASTI), Solar Thin Films, Inc. (OTC: SLTZ), Solar Frontier subsidiary of Showa Shell Sekiyu K.K. (TYO: 5002) and TSMC Solar , a wholly-owned subsidiary of Taiwan Semiconductor Manufacturing, Inc. (NYSE:TSM). Solar Frontier is the world's largest CIGS manufacturer. The U.S. Photovoltaic Manufacturing Consortium (PVMC), an industry-led consortium for cooperation amongst industry, university, and government partners to accelerate the development, commercialization, manufacturing, field testing and deployment of next-generation solar photovoltaic (PV) has released its first-ever U.S. CIGS PV Roadmap report. According to their press release, "Photovoltaics and especially thin-film PV are again at a tipping point," said Larry Kazmerski, co-chair of the U.S. CIGS PV Roadmap. "We want PV to be a substantial part of the world's energy portfolio and our efforts with this roadmap are aimed to help make CIGS thin films a significant part of that solar success." TSMC Solar , a wholly-owned subsidiary of Taiwan Semiconductor Manufacturing, Inc. (NYSE:TSM).announced in June, confirmation by TUV SUD that its latest commercial-sized (1.09 m2) CIGS champion module has achieved 15.7% module total area efficiency. The new champion module improves on TSMC Solar's previous 15.1% world record set in January this year. The module was produced using the current manufacturing equipment and materials at the company's manufacturing facility in Taichung, Taiwan. For investors following the solar sector the take -away is CIGS will be playing a key role in the future of solar efficiency and its overall success . The Photovoltaic Manufacturing Consortium (PVMC), spearheaded by SUNY's College of Nanoscale Science and Engineering (CNSE) and SEMATECH as part of the U.S. Department of Energy's (DOE) SunShot Initiative, is an industry-led consortium for cooperative R&D among industry, university, and government partners to accelerate the development, commercialization, and manufacturing of next-generation solar photovoltaic (PV) systems. Through its programs and advanced manufacturing development facilities, PVMC is a proving ground for innovative solar technologies and manufacturing processes. For more information on the U.S. PVMC, visit http://www.uspvmc.org. To download the U.S. CIGS PV Roadmap reports, please visit http://www.uspvmc.org/roadmap/roadmap_reports.html. New York, NY , Point Roberts WA– Tuesday July 9th, 2013 – (www.investorideas.com newswire,) Taylor Van Zant of Investorideas.com., an investor research portal specializing in sector research for independent investors, reports on the Hydrogen and Fuel Cell market and the recent Hydrogen + Fuel Cell C Conference (HFC 2013 ) (http://www.hfc2013.com/), held in Vancouver June 16th – 19th, 2013. Clean, renewable energy continues to be a growing industry as more and more countries across the globe are forced, or choose, to implement more environmentally conscious energy plans. In this renewable energy emergence market Hydrogen and Fuel cell technology is fast becoming a rising star. This year, the sixth Hydrogen + Fuel Cell Conference took place at the Vancouver Convention Center, hosting some of the leading developers and innovation in the Hydrogen and Fuel cell industry as well as some high profile public companies showcasing their latest developments. 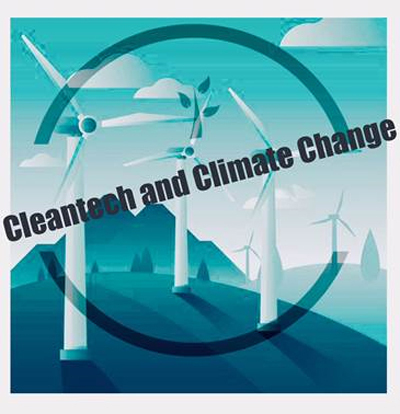 The British Columbia Ministry of Tourism, Trade and Investment is promoting, and with good reason, the Province to investors as the home to the world’s third-largest clean technology cluster. Dozens of fuel cell companies and research organizations are located in B.C such as the National Research Council Institute for Fuel Cell Innovation (NRC-IFCI); the Canadian Hydrogen and Fuel Cell Association; the Automotive Fuel Cell Cooperation; UBC’s Clean Energy Research Centre; NuCellSys; Powertech Labs; and Westport Innovations. With roughly 70 per cent of Canada’s fuel cell sector centered in or around Metro Vancouver, the city made a great stage for the HFC conference and researchers and industry leaders from around the world were happy to be a part of such a large scale promotion of this lesser known industry. Fuel Cell technology implementation has faced the obstacles of the recession in the last few years and the obvious troubles related to cost efficiency, but the industry is now making a strong recovery and proving to be beneficial to other sectors of the green energy industry. There are a variety of benefits to using fuel cells, and especially Hydrogen based ones, as fuel cells have a higher efficiency than diesel or gas engines and most fuel cells operate silently, compared to internal combustion engines. This makes them ideal for use within buildings such as hospitals or on military compounds across the globe. Fuel cells can eliminate pollution caused by burning fossil fuels; for hydrogen fuelled fuel cells, the only by-product at point of use is water. If the hydrogen comes from the electrolysis of water driven by renewable energy, then using fuel cells eliminates greenhouse gases over the whole cycle. Fuel cells do not need conventional fuels such as oil or gas and can therefore reduce economic dependence on oil producing countries, creating greater energy security for the user nation. Since hydrogen can be produced anywhere where there is water and a source of power, generation of fuel can be distributed and does not have to be grid-dependent. The use of stationary fuel cells to generate power at the point of use allows for a decentralized power grid that is potentially more stable. Another military feature of some low temperature fuel cells (PEMFC, DMFC) is there low heat transmission which makes them ideal for covert military applications. Higher temperature fuel cells produce high-grade process heat along with electricity and are well suited to cogeneration applications (such as combined heat and power for residential use). Operating times are much longer than with batteries, since doubling the operating time needs only doubling the amount of fuel and not the doubling of the capacity of the unit itself. Unlike batteries, fuel cells have no "memory effect" when they are getting refueled. The maintenance of fuel cells is also much simpler than other engines or batteries since there are fewer moving parts in the system. As this conference in Vancouver demonstrated through a variety of well informed panels with specialists and company heads, there are no shortage of benefits to using fuel cells as a source of clean renewable energy, but the true purpose of the conference was to showcase the momentum of the industry. This industry has recovered greatly from its fall of the past few years and is showing forward momentum with an almost limitless amount of possibilities. Hydrogenics (TSX: HYG) trading at $15.80 up $1.30 on a volume of 7,036 shares is one of the top companies to watch in this growing sector. Hydrogenics Corporation is a leading developer and manufacturer of hydrogen generation and hydrogen-based power modules and received the "Innovator of the Year" award from the Canadian Hydrogen and Fuel Cell Association ("CHFCA") at the HFC conference. This CHFCA accolade recognizes an organization that exemplifies a long-term commitment to advancing the status of hydrogen and fuel cells in Canada. "The Hydrogenics team is extremely honored to be recognized by our industry peers in this manner," said Daryl Wilson, President & CEO of Hydrogenics. "Meeting together in Vancouver, we discussed the increasing interest in hydrogen as a solution for energy storage and power generation across the globe. Clearly there is momentum here that was not the case just a few years ago, and we are proud to be positioned as a leading player in the space. For Canada and the world, Hydrogenics is pleased to be advancing the case for using hydrogen as a clean, renewable solution for humanity's ever-expanding energy demand." Hydrogenics Corporation is a world leader in engineering and building the technologies required to enable the acceleration of a global power shift. Headquartered in Mississauga, Ontario, Hydrogenics provides hydrogen generation, energy storage and hydrogen power modules to its customers and partners around the world. Hydrogenics has manufacturing sites in Germany, Belgium and Canada and service centers in Russia, China, India, Europe, the US and Canada. Ballard (NASDAQ:BLDP) trading at $1.86 rising $0.01 or 0.54% on a volume of 242,621 shares, was another main presenter and rising star of the conference with the release of their new ElectraGen-ME backup power system. “This new product will strengthen the value proposition for customers, with a higher reliability, lower cost solution,” said Tony Cochrane, Ballard’s Director of Product Management for Telecom Backup Power, in a press release. The ElectraGen platform, a small-scale PEM fuel cell with power output of either 2.5 or 5 kilowatts, appears to be a repackaged version of Idatech’s methanol-based PEM fuel cell product, which were also designed to provide backup power for telecom sites. Ballard acquired the Portland, OR-based Idatech last year. Like Idatech, Ballard’s ElectraGen platform is designed to provide backup power for regular, even daily, power outages in markets with unreliable electricity grids and backup power for markets with grids vulnerable to extended power outages. In particular, the ElectraGen system is better suited for “extended runtime” backup power needs as compared to batteries and diesel generators. Ballard Power Systems good news kept coming as the company announced during the conference that, with a commitment of investment funding to support field trials, the South African Government has reinforced its support of growth in that country's fuel cell industry. Godfrey Oliphant, South Africa's Deputy Minister of Mineral Resources, made the announcement during his presentation to attendees of the "Hydrogen + Fuel Cells 2013 International Conference and Exhibition". As part of its beneficiation strategy and the drive to improve on the uses of platinum, the South African Government, through its funding institutions, will partner with Ballard Power Systems and Anglo American Platinum with initial field trials of a new methanol-fuelled 'home generator' prototype product designed for use in off-grid residential applications. The product will encompass a complete fuel cell system, including fuel cell stack, methanol fuel processor and other components needed to meet the market requirements of rural electrification within a local mini-grid. The home generator product is going to be developed as a means of addressing the many African households in rural communities that are currently unable to economically access the grid as a result of distance or terrain. Godfrey Oliphant, South Africa's Deputy Minister of Mineral Resources said, "We are very pleased to support the field trials of the home generator product being developed by Anglo American Platinum and Ballard Power Systems. Projects such as this are key in the development of new technologies which will stimulate the creation of jobs for the South African economy." Platinum-based fuel cells provide a significant economic and environmental development opportunity for South Africa by facilitating the provision of clean, reliable and cost-effective power. South Africa holds 75% of the world's supply of platinum, a key component of Ballard's proton exchange membrane fuel cell products. "Anglo's involvement in fuel cell market adoption extends beyond the implications for platinum utilization to the potential transformational impact fuel cells could have on the economy in South Africa ," said Andrew Hinkly, Anglo American Platinum's Executive Head of Marketing. "Fuel cell-based product deployments enable the platinum beneficiation strategy in Africa and create jobs in a key growth sector for the economy." Karim Kassam, Vice President, Business & Corporate Development added, "We are excited by the progress under our joint development agreement with Anglo American Platinum. Work to date has included a market feasibility study, testing of a proof-of-concept system based on existing technology and initial work on a prototype system." Systems deployed in initial field trials during 2014 will provide valuable data to support further development of the prototype systems. Upon successful completion of the product development phase, plans are to proceed to a pilot test of more than two hundred units in villages across rural South Africa in 2015. Ballard Power Systems provides clean energy fuel cell products enabling optimized power systems for a range of applications. Products deliver incomparable performance, durability and versatility. To learn more about Ballard, please visit www.ballard.com. This release contains forward-looking statements product development activities, market adoption for our products and business development opportunities. These forward-looking statements reflect Ballard's current expectations as contemplated under section 27A of the Securities Act of 1933, as amended, and Section 21E of the Securities Exchange Act of 1934, as amended. Any such forward-looking statements are based on Ballard's assumptions relating to its financial forecasts and expectations regarding its product development efforts, manufacturing capacity, and market demand. Automotive Fuel Cell Cooperation, (“AFCC”) is a Burnaby, BC based joint venture of Daimler AG and Ford Motor Company developing fuel cell modules for automotive applications. This company featured many of their new fuel celled powered cars and transports at the conference, showing the reality aspect of this technology and how developed and fully functional said technology currently is. The foundation of AFCC was preceded by the Fuel Cell Alliance which was formed in 1997 between Daimler, Ford and Ballard to jointly advance the commercialization of automotive fuel cell technology. Following a successful 10-year alliance, Ballard sold its automotive fuel cell assets to Daimler and Ford in 2008. These assets are now resident in AFCC. Today, Daimler and Ford are the only two automotive companies jointly developing fuel cell technology thereby avoiding the duplication of R&D efforts. Together, they have more than 280 fuel cell vehicles on the road. As the birthplace of the automotive fuel cell, British Columbia is the natural home for AFCC due to the large concentration of fuel cell experts in the area and the province’s commitment to fuel cell research and innovation. On the public investor side of things Ford Motors Co., (NYSE:F) was trading at $16.81 rising $0.11 on a volume of 29,248,548 shares and Dailmer AG (OTC: DDAIF) traded up at $62.46 moving $0.80 on a volume of $23,611 shares. It’s clear after attending this conference that this field of development and technology is fast becoming a star of the renewable energy world and those interested in any serious long term investment, both financially and environmentally, need to start taking a close watch on the industry….as well as possibly attend next years HFC conference in the beautiful city of Vancouver. www.InvestorIdeas.com is a global leader in investor sector research, featuring stock news, commentary and trading alerts in leading sectors including biotech, tech, mining, energy, water, renewable energy and beverage stocks. New York, NY - July 5, 2013 (Investorideas.com renewable energy stocks newswire) Investorideas.com, an investor research portal specializing in sector research for independent investors, including biotech and renewable energy stocks issues a trading alert for solar stocks following the July 4th holiday . Friday’s session is seeing a bounce in solar stocks, with some trading up over 7%. Chinese solar stocks gained following a report from Shanghai Securities News that China is planning to limit exports of solar panels to the European Union to 10 gigawatts a year. LDK Solar Co., Ltd. (NYSE LDK) is trading at $1.36, up 0.06 or 4.96% at 10:44AM EDT. Yingli Green Energy Holding Co. Ltd. (NYSE:YGE) is trading at $3.58, gaining 0.26 or 7.83% at 10:41AM EDT on over 2 Million shares. XSUNX Inc. (OTCBB: XSNX) is trading at $0.0117, up 0.0007 or 6.36% as of 10:13AM EDT. The Company is a developer of CIGSolar®, a patent-pending technology for the mass production of CIGS solar cells that offers a capital-efficient, low-cost alternative to the use of silicon solar cells. $114.53, gaining $7.17 or 6.68% at 12:24PM EDT on over 6.5 Million shares. The stock had a morning high of $116.20. The stock moved following an analyst upgrade from Elaine Kwei at Jefferies, raising the price target to $130 from $70.